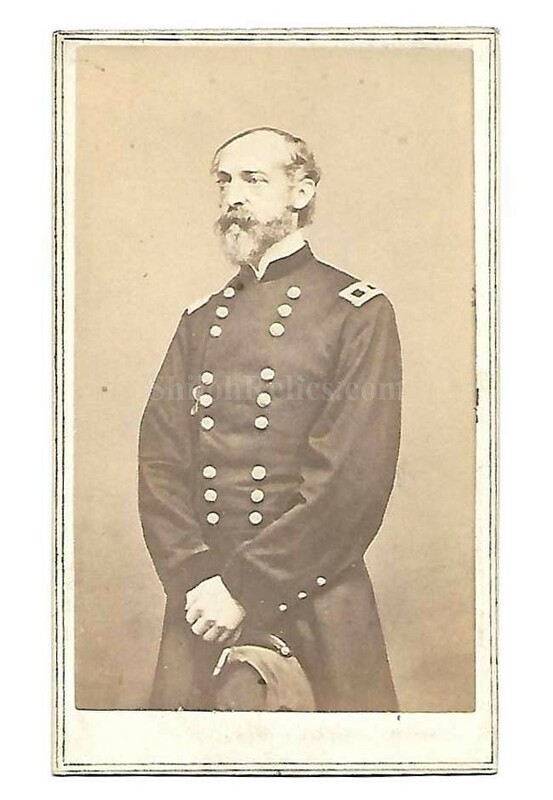 This is an original Civil War era CDV image of Civil War Major General George Meade (1815-1872). Meade is probably best known as the Commander of the Union Forces at Gettysburg. He graduated West point in 1831He was a military Engineer and served with the Topographical Engineers. At the battle of Glendale he was wounded twice but came back quickly to fight at Second Manassas. He was made full Major General and fought through the end of the Civil War. It is a knee-up view of the general in a stately pose. The overall size of a CDV image is approximately 2.5 inches by 4 inches in size. What makes this one extra special is the photographer Mark on the back. 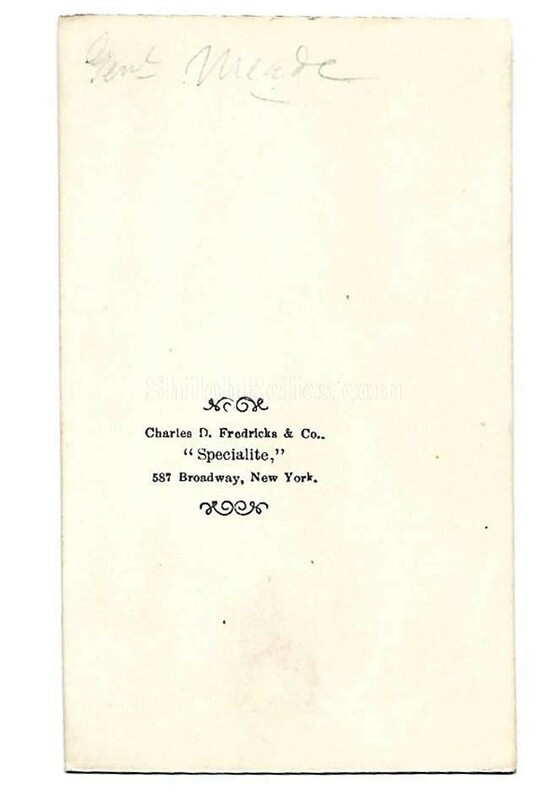 It has the studio Mark of the New York firm of Charles Fredericks. It is a fine original CDV that will make a solid addition to any Civil War collection.